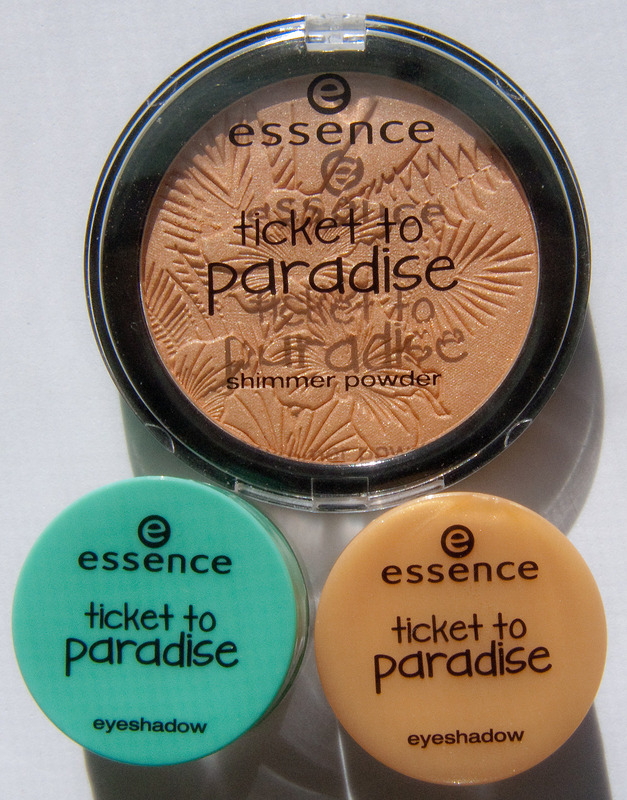 Long-Lasting eyeshadow in 01 dive with me to the island and 03 tropical heat. I've got two tickets to paradise!!! Our at latest that's the first thing that poped into my head when seeing the name of this collection. All the items here retail for $3.99 each at Shoppers Drug Mart. Essence had been doing close to seasonally collections or some special promotional ones (Twilight). 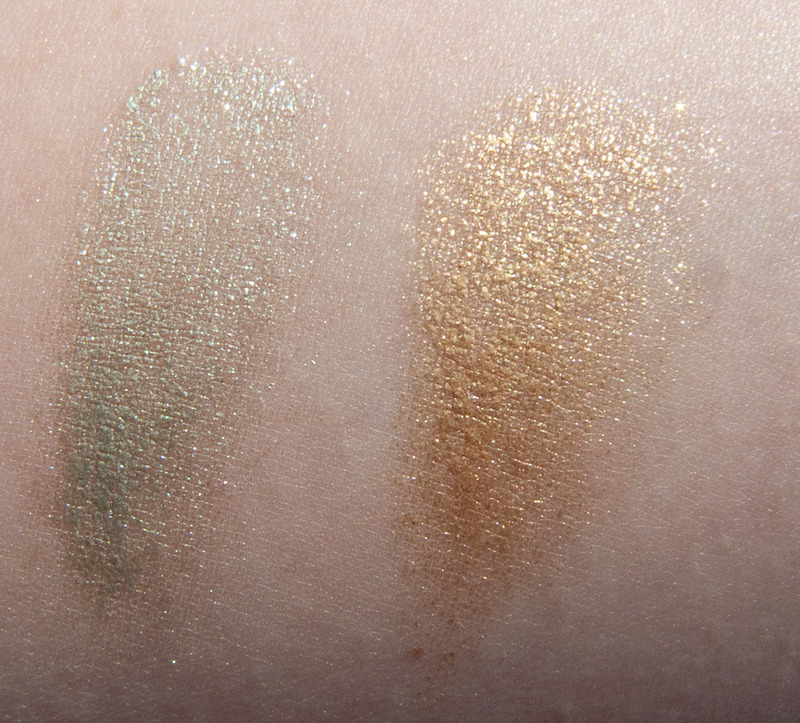 I was particularly excited to see the shades in this one. 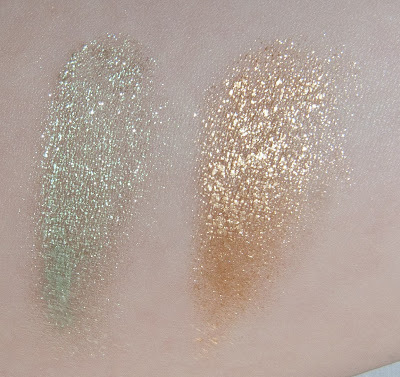 Product: Shimmer Powder is a fine miller shimmer particle highlighter. The texture is smooth to apply. 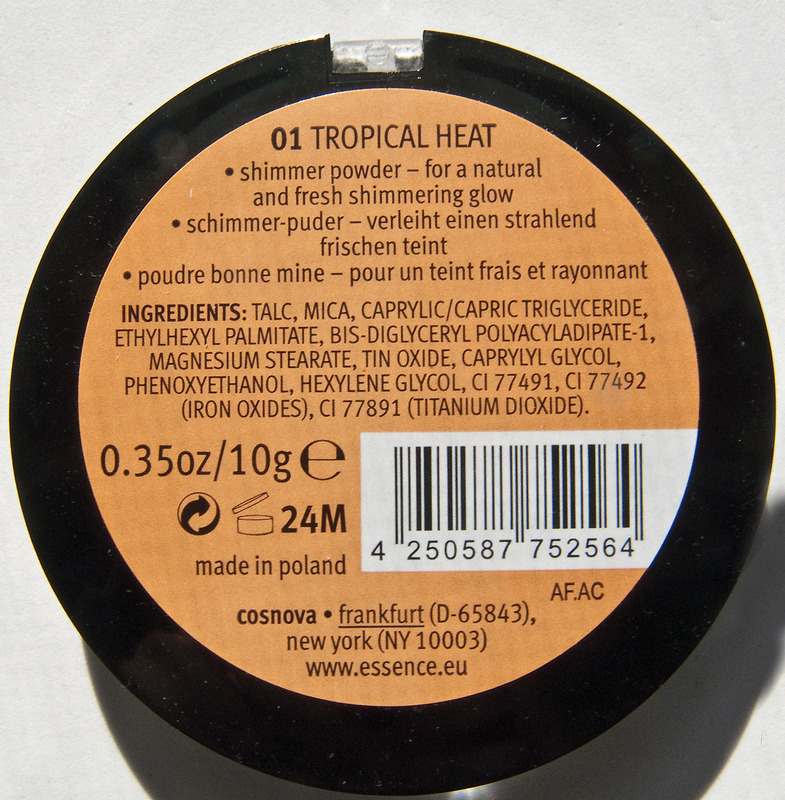 Colour: 01 tropical heat is a light gold shimmer that appears lighter on he skin. Wear: 12 hours with no issue left it on it's own before noticing any sore of fading. 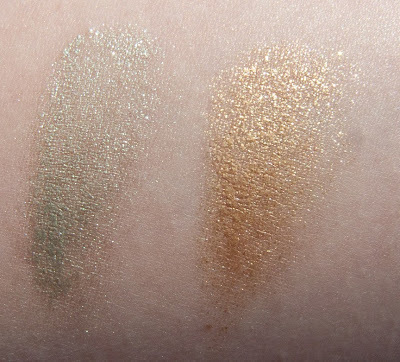 Compare: Reminds me of TheBalm Mary-Lou Manizer (but slight more gold tone) and MAC Whisper of Guilty has a similar tone (but this one is slightly lighter). Shimmer Powder in 01 tropical heat is a lovely drugstore price highlighter that reviles a lot of mid end highlighters (and some high end ones). 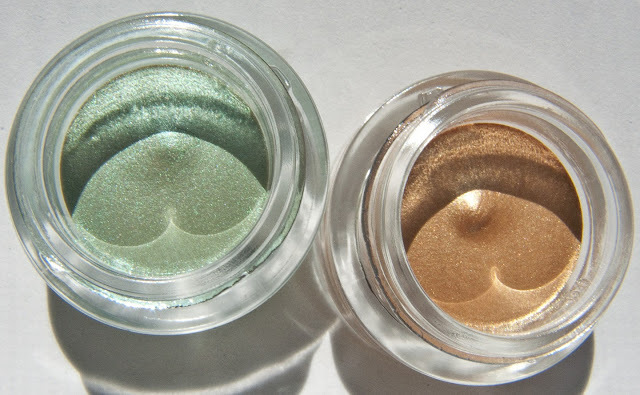 Product: These Long-Lasting eyeshadows do not live up to there name. 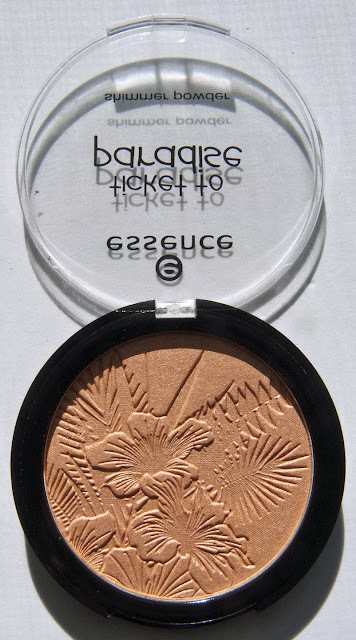 The product is a moose/damp gel similar to the of a Maybelline Dream Bouncy Blush, but there is littler to sheer pigmentation, the colour is not build able and when i tried to layer this i was lifting off the under layers. The colour just do not bind which is a bonus of gel based products but I get the selling this is just a wet moose. 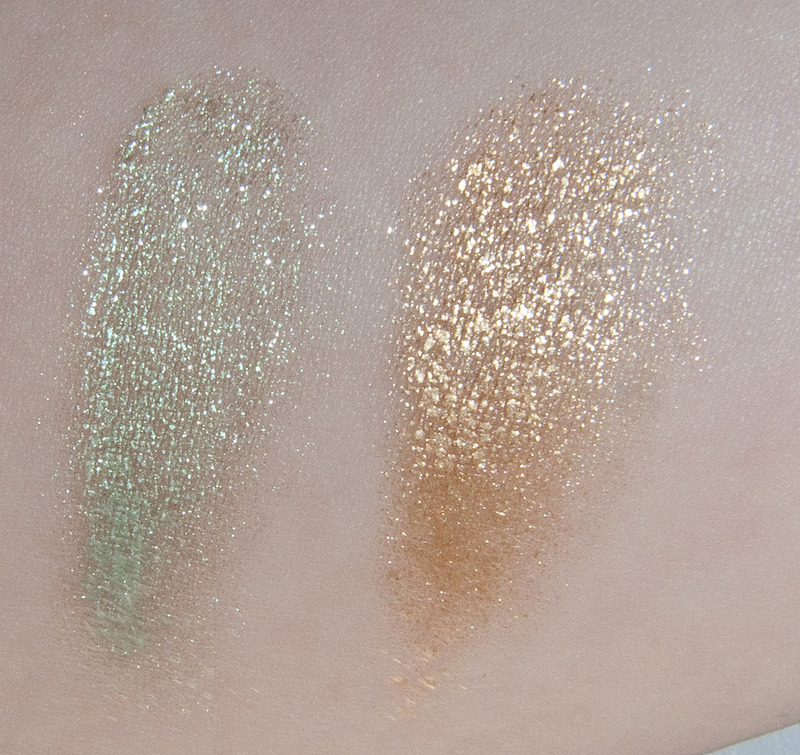 It also very transfer prone and the shimmer to to fall out rather quickly. Wear: -1 hour. Seriously I notices fall out and flaking right away. 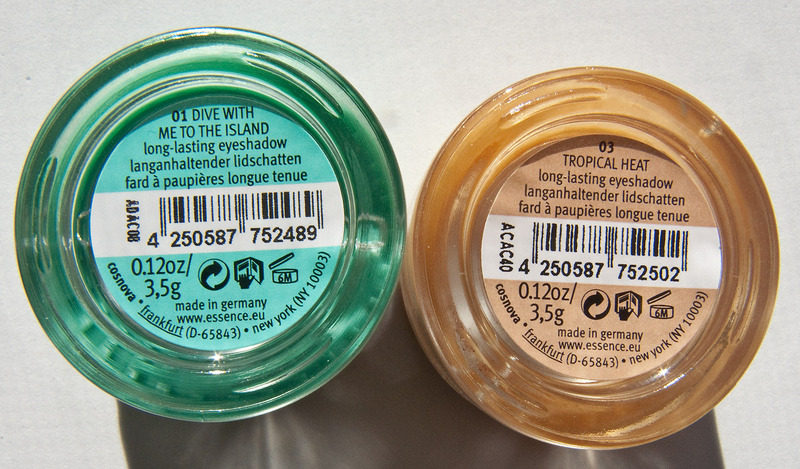 Flash swatches: 01 dive with me to the island and 03 tropical heat. 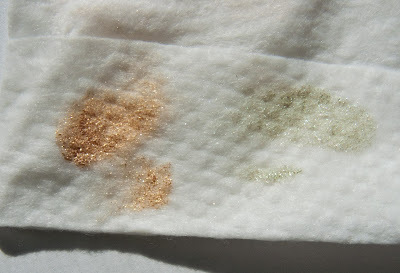 What comes off in one wipe... all of the product!